Hello once again and welcome to the Railwaymedia blog. This blog comes after a week where I've managed to take no pictures at all. Monday involved an afternoon in Blackpool, though all travelling was done by bus as of course the tramway is not yet open; more about that later. Tuesday I had plans to go somewhere but the day was dull and as I just couldn't get up any motivation to drag myself anywhere I stuck to doing a bit of reprocessing at home instead. 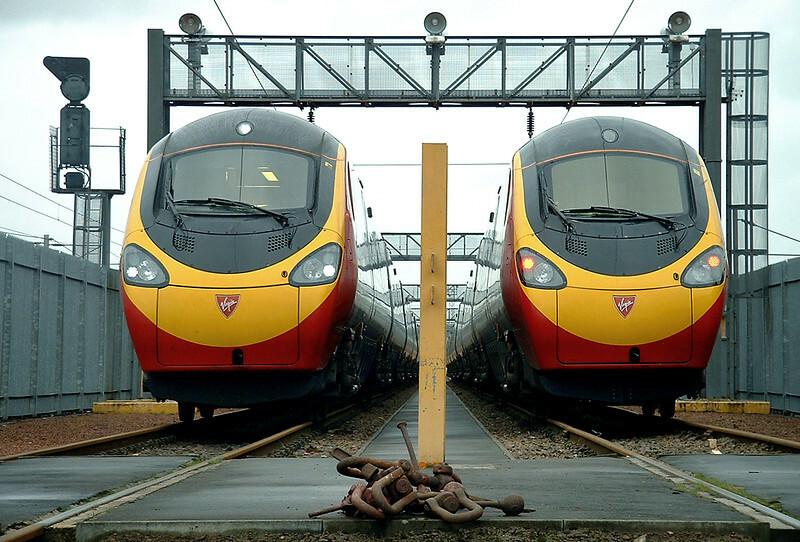 Probably the main news of the week, which I mentioned in the last blog, was the trial of a Pendolino on the East Coast Main Line overnight on the Tuesday, and again on the Wednesday. Here's a general picture of two Pendolino's at Polmadie when brand new because, no matter what route they are testing them on, I've no intenetion of getting up in the middle of the night and drive 100 miles to go and see one! 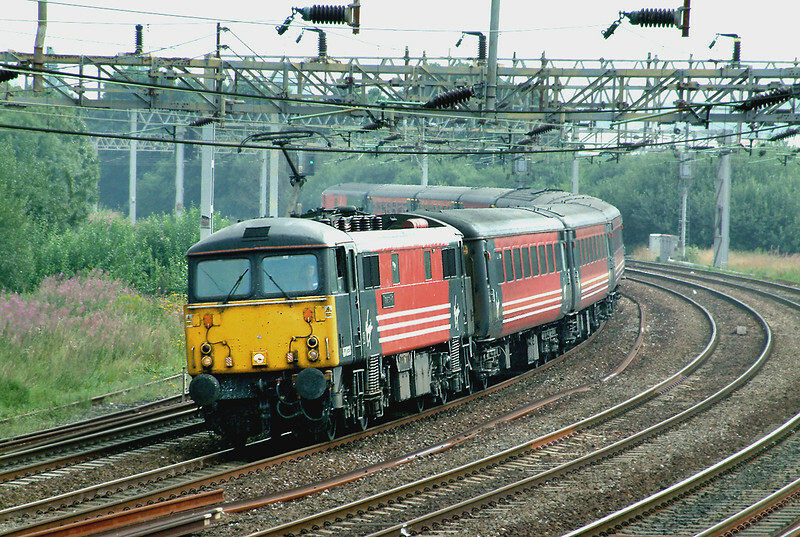 For a picture of the actual run, click HERE for The Railway Magazines' article. Also this week the first of the new coaches to extend the original Pendolino's have been delivered. They came through the Channel Tunnel and were taken north to Longsight depot on Friday morning. There were 8 coaches delivered this time to make sets 5, 6, 7 and 8 up to the full 11 coaches. 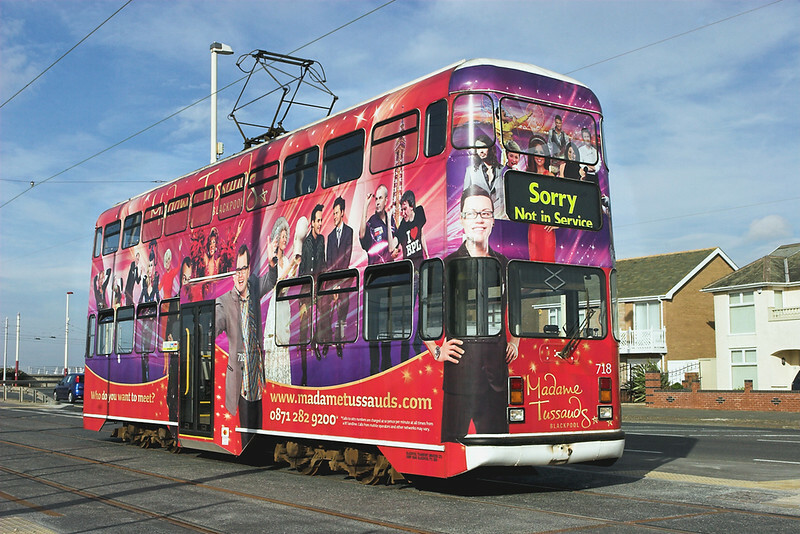 Well returning to the Blackpool Trams, the timetable for the new low-floor Flexity operated service has been released, though it's still a slight secret as it's not on any freely available website yet. Most comments have been that it is a somewhat disappointing timetable with the overall journey time only a few minutes faster than the parallel number 1 bus route. Indeed frequencies are also identical at 20 minutes during the day and 30 in the evenings, also trams leave either end at the same time as the bus! It has to be said though that with only 10 out of the 16 new trams so far delivered it SHOULD be only a 'temporary' timetable, requiring 6 Flexity trams for the service, and also there has not yet been any mention of the timetable for the additional journeys to be made by the fleet of Balloon double decks which have modified doors to enable them to serve the new platformed stops. I hope to get over to Blackpool this week to see what trams are out on test and how far to Fleetwood they are managing to run, indeed with a week off now I have every intention of dusting my camera off. Fingers crossed for good weather! That is about it for now, thanks as always for reading. Please check back for updates later in the week.